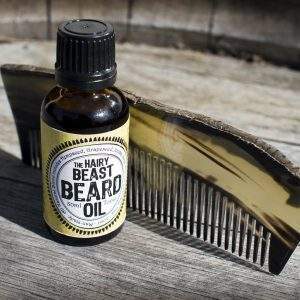 Tame the beast on your chin! 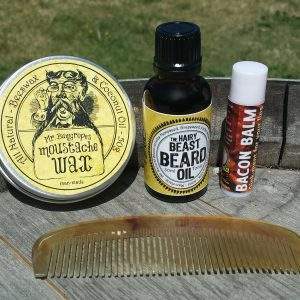 Do you wish you could sculpt your beard into fun-loving shapes or do you just wish to control the unruly hairs that grow on your face and keep them in place? 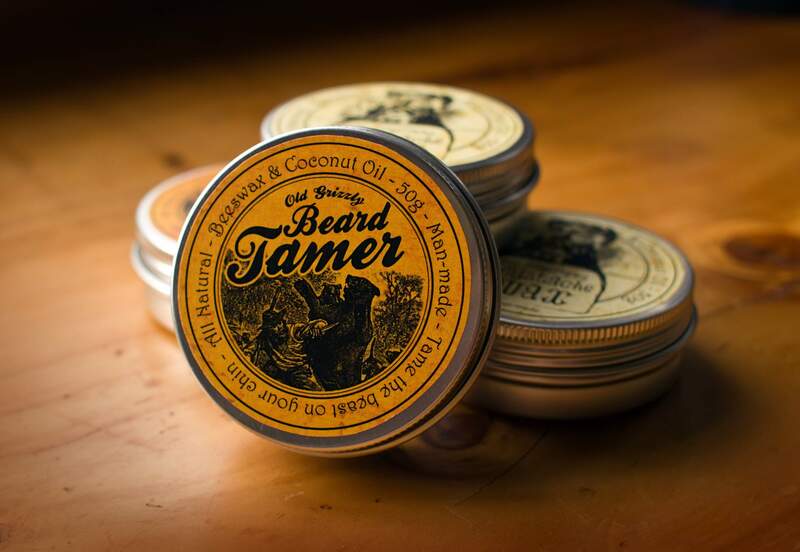 If you or the men in your life have a beard – then this is the product for you. This fine tin of Old Grizzly Beard Tamer is man-made from natural ingredients. A mixture of 100% natural beeswax sourced from the finest New Zealand bees and 100% Organic Extra-Virgin Raw Coconut Oil from Samoa blended with certified organic Shea Butter and Cocoa Butter – making it 400% organically awesome. 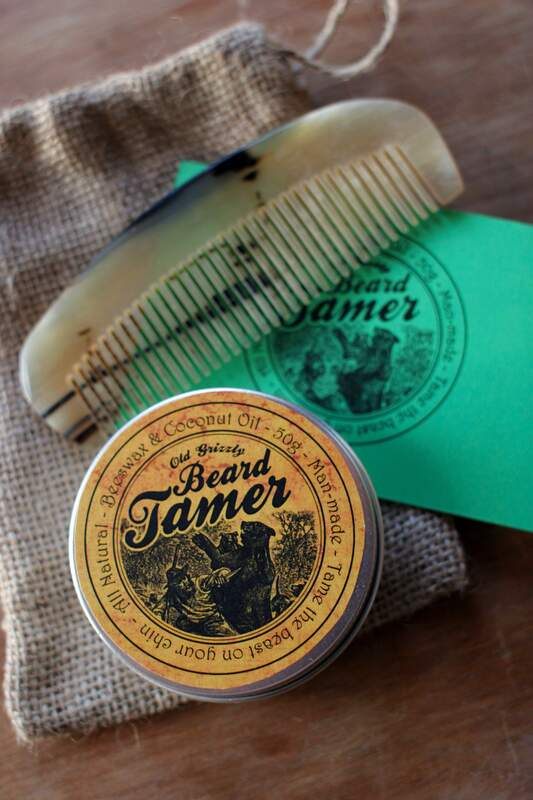 This gift pack also contains a comb crafted from goat or sheep horn. 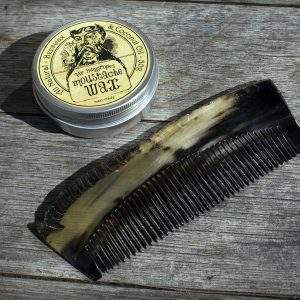 This natural comb is perfect for taming the beast on your chin, or the furry follicles on your upper lip. You can also drag it through the mane of hair on your head for extra swag. The tin, comb and instructions come in a handy hessian sack for easy cartage. 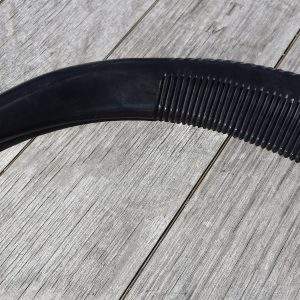 To use simply scrape a little with your fingernail, roll between your finger and thumb to soften, then massage into the ends of your fine facial fur. Use as much or as little as you like. 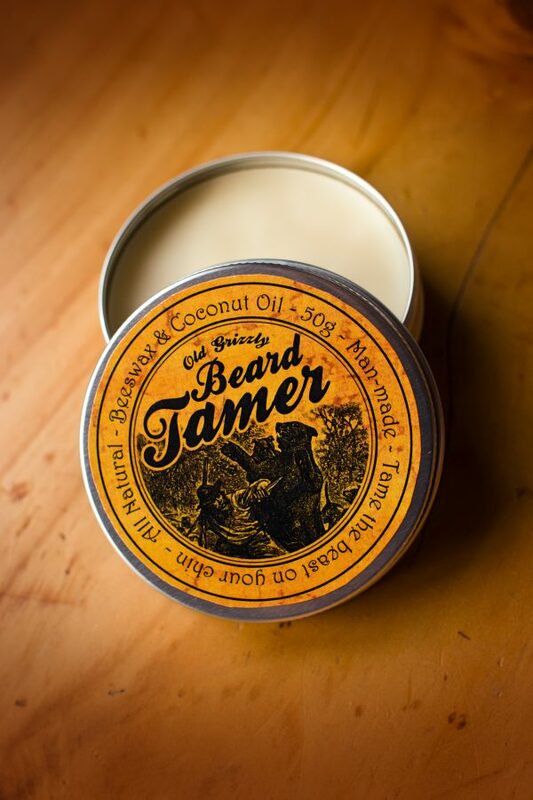 Some prefer to comb the softened wax through their beard instead of the fingered follicle fondle. Being all natural the ingredients are great for your hair and skin and entirely edible if you find yourself going hog-wild and getting it everywhere. 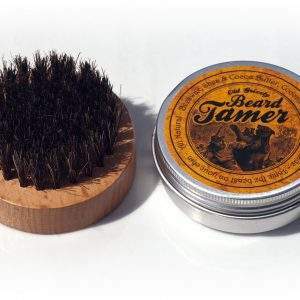 The Moustache Wax and Beard Tamer can also be used for a variety of other uses – including the seduction of the female species through the magic art of massage and foot rubs, lubricating a stuck chainsaw and giving the old leather boots a bit of TLC. The aroma is a pleasant mix of beeswax and coconut with a hint of pine needles and/or rum (depending on availability and sobriety). Get your gift pack today – and be sure to check out the other manly products available. Free shipping for New Zealand customers.